In the Fall of 2006, a local woman was going to be visiting her friend in New York. This friend just happened to be a producer on “The View.” Since this woman was going to attend a taping of the show, she brought along gifts for her producer friend and for the hosts. One of her objectives was to get some autographed pieces donated for the Menominee Animal Shelter auction. Since the goal was to help the Shelter, and knowing that the ladies were all animal lovers, she decided to bring a set of my “Paws and Bones” jewelry line to each of the hosts of the show. 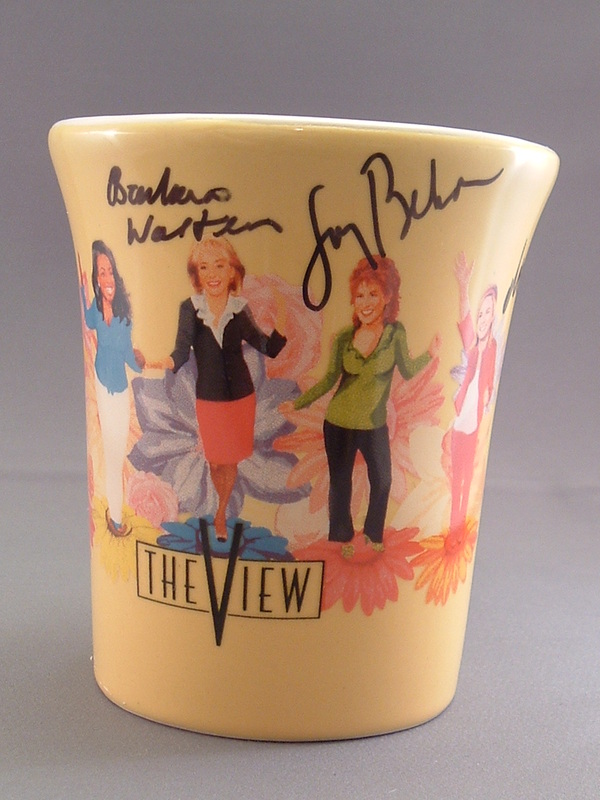 In return, I received a mug, signed by the ladies, which I am very proud of! I don’t know if Barbara, Joy, or the others ever wore their gifts. I like to imagine that they did. But even if they didn’t, it doesn’t matter, because they made the journey. And I have a fun story to tell…my little claim to fame.